How to Chat Online is going on to give information for its users who are using WhatsApp messenger. 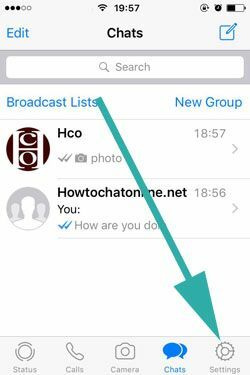 We have published several guides for using WhatsApp for iPhone devices on here. 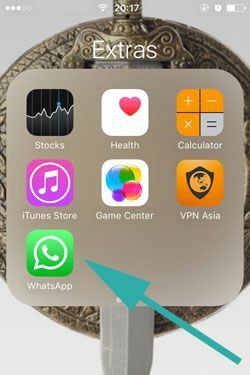 This time we will give you information on changing WhatsApp calls ringtones on iPhone. You will able to find more information about the android version of the application at incoming days. Let’s begin to tell you how to change ringtones for WhatsApp calls. 2-) Tap on Settings on WhatsApp Messenger’s main page. You can see the location of the button below. 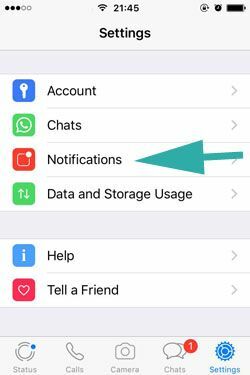 3-) Swipe down a little bit on the settings page until you see the “Notifications” button and please tap on “Notifications”. 4-) Please tap on “Ringtone” on the notifications page. Please don’t confuse with “Sound”. It is for changing message notification sounds. Tap on “Ringtone” to change your calling ringtones of WhatsApp Messenger. 5-) A list of ringtones will appear on your phone now. You can tap and listen each ringtones. When you make a decision about one of these notifications, tap on the decided ringtone and tap on Done. You are done! Now you have changed your ringtone. If you do not assign a special ringtone for a single contact all received calls will work with these ringtones now. We will provide more information for you on How to Chat Online about ringtones in the future. Please let us know if you have any questions about ringtones of WhatsApp on iOS and iPhone devices. Our expert will get in touch with you as soon as possible.